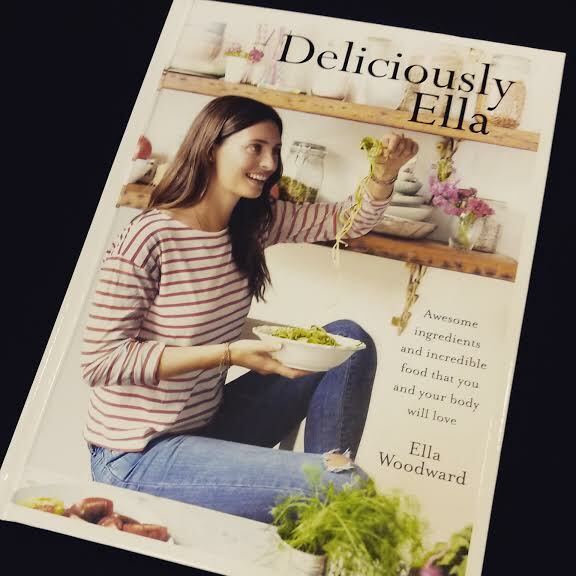 This statement in Ella Woodward’s debut book, Deliciously Ella, sums up her wholesome approach to food in a growing movement which understands the positive effects it can have on your body, health and wellbeing. With so many fad diets around, particularly at this time of year, Ella’s outlook is refreshing, realistic and at its core, aims to build a healthy relationship with eating; not a distorted one. 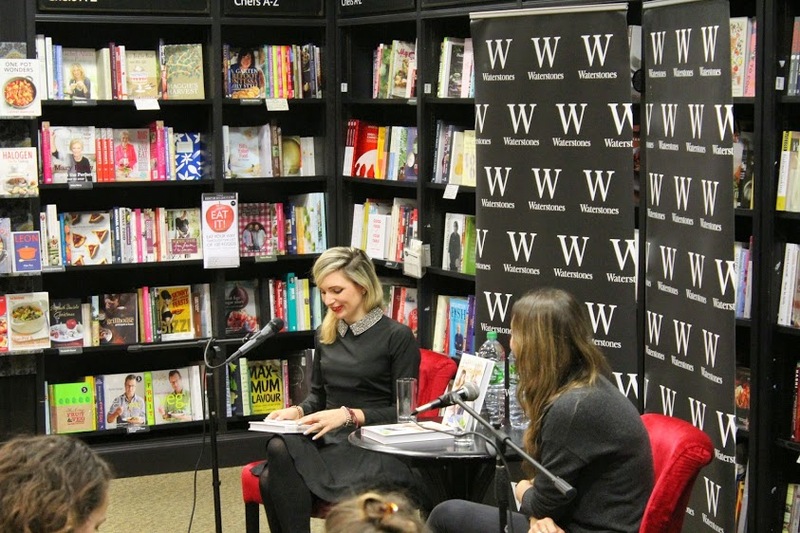 I’ve been a fan of the 23 year-old’s blog for a while, so I was delighted to be invited to host a Q&A session at her book launch at Waterstone’s, Deansgate. 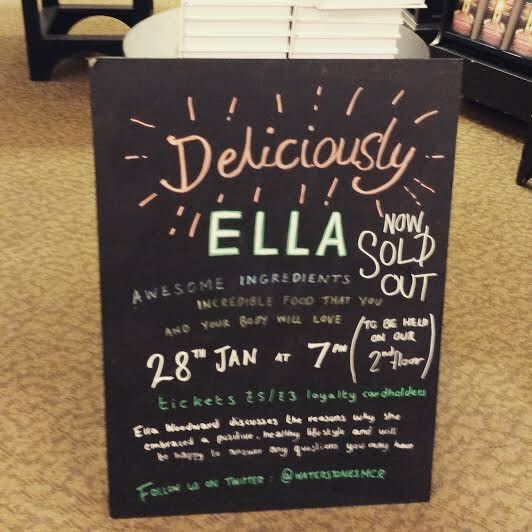 With so much coverage and eagerness surrounding her physical collaboration of vibrant, nutritious recipes, not to mention a record-breaking crowd of 200 at the store, initial nerves were soon taken over by excitement when I met the fresh faced, naturally beautiful Ella 10 minutes before we kicked off the night. A glowing picture of health, it’s hard to believe that four years ago Ella was “a total sugar monster” while at university, rarely eating fruit and vegetables. The audience chuckled as she revealed an amusing childhood story of a game she played to try and avoid eating bananas; the polar opposite to her diet now. What’s even more incredible is her inspiring recovery from being diagnosed with a rare illness, Postural Tachycardia Syndrome (POTS) in 2011, which saw her sleep for 16 hours a day, endure chronic pain, suffer heart palpitations and stomach issues. It was clear that this was a devastating and confusing time for the then 19 year old, especially when doctors ran out of suggestions as to how she could recover. Months of being prescribed various drugs and steroids went by, and with no sign of any form of progress, Ella said she decided to take this into her own hands and researched holistic ways to healing. This is where she discovered Kris Carr, a cancer survivor who used her diet to heal. Literally overnight Ella cut out meat, dairy, sugar, gluten and anything processed, instead adopting a wholefoods, plant-based approach. Laughing as she revealed her family thought she had gone mental, especially as she couldn’t cook, her determination over time gradually started showing results. 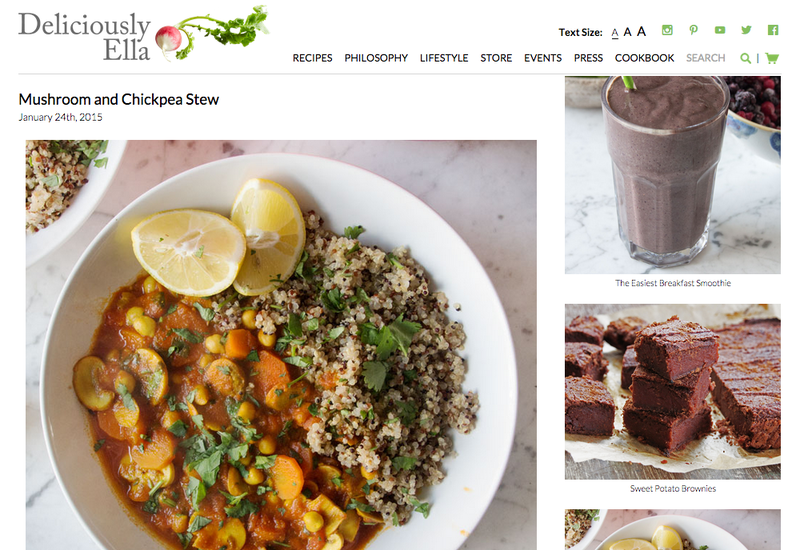 Encouraged by how her health was greatly improving as a result of this new way of eating, Ella’s eyes lit up as she explained how her blog came into fruition. Setting herself the challenge of posting three recipes each week and showing a few friends at first, as her readership grew, so did her confidence and knowledge, to a point where now she is known as the queen of clean eating. Her sense of proudness was apparent, particularly as she told us about messages and comments she has received from others who have been inspired by her recipes and noticed improvements to their health. Down to earth and genuinely still surprised by how much it has taken off and helped others, Ella’s warming persona is infectious. Ella emphasised a key tip for bloggers, which is one of the reasons she is so well liked, is to let your personality shine through your content and to write about things you have a passion for. Social media is also a crucial outlet for this, naming Instagram as her favourite network where she spends hours looking at food posts and being inspired when it comes to creating new recipes. Make sure you switch off though were her words of advice; it’s easy to lose track of time when on your laptop or phone! I could not have agreed more with Ella as she firmly said forget counting calories; what’s more important is the quality of the food and considering how it can help to feed and nourish the body. From her personal experience, it is perhaps no surprise how passionate she feels about this, and from suffering anorexia in my early teenage years, it is this which I have been educating myself for a while. More people should understand this concept, which is one of the reasons I admire Ella so much. Acknowledging that something like an avocado can contain the same amount of calories as a Mars Bar, Ella stressed that it’s the benefits, vitamins and minerals the food offers that is important. Life is too short to feel like you have to be deprived, touching on the negative connotations surrounding the word ‘diet’, and instead to see food as something to fuel and aid the body throughout our lives. The audience nodded along enthusiastically, I really hope this message is passed on! Most of the time, she admitted that she just makes ‘what she fancies eating’, experimenting with combinations of flavours and unprocessed ingredients. It’s thanks to her creativity, confidence and ‘give it a go and see what happens’ attitude that has helped her gain thousands of fans and readers. 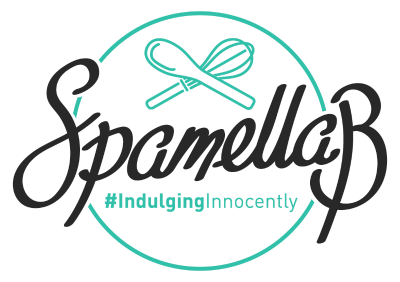 One of my questions was about planning and researching; although Ella gains inspiration from social media and food websites, most of her recipes are a result of playing around in the kitchen. 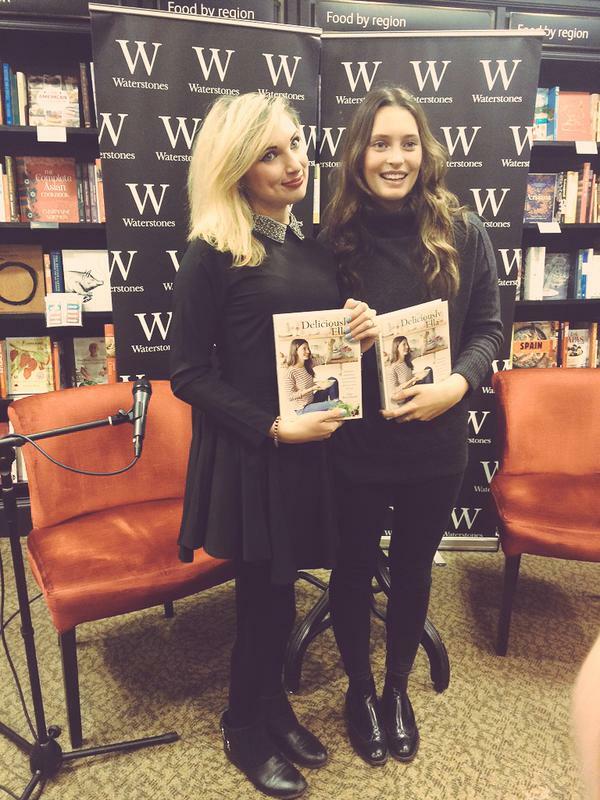 When asked about her essential equipment in the kitchen, Ella said there are two things she’d recommend to those wanting to eat more healthily; a blender, to whizz up liquid-based meals like smoothies and soups, plus a food processor, a more powerful tool which can grind down nuts, fruits and vegetables required for recipes. Although these can be pricey, Ella stressed that there are more affordable models on the market that are efficient, it depends on your budget and how often you use them. Dates, almond butter, tamari, cans of chickpeas and coconut oil are just some of Ella’s favourite ingredients. 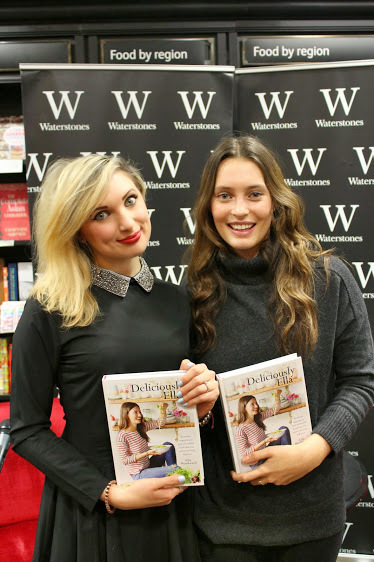 In her book is a useful guide to a shopping list of essentials which readers will find useful, particularly for those who are just getting into a healthier way of eating. Along with the evolving trend of ‘eating clean’ and going back to basics, what’s great is that the majority of these things that are now widely available in supermarkets, or at least high street health food shops. 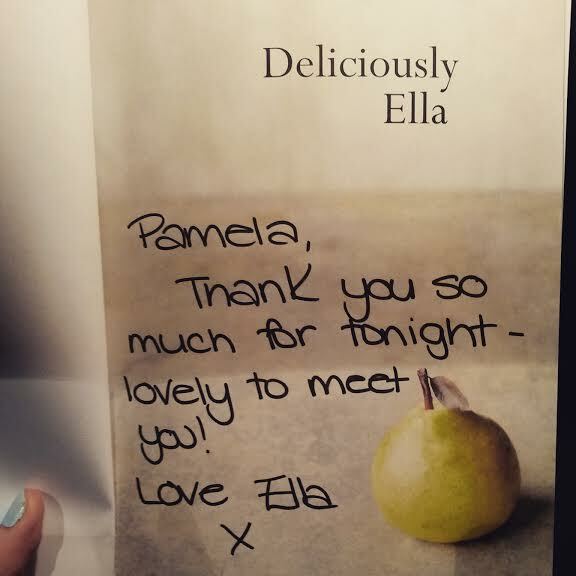 Let’s go back to Ella’s book, a wonderful selection of delicious, easy to follow recipes, beautifully presented and photographed. I’d had a cheeky flick through before the Q&A began, already eyeing up which ones I wanted to make first (pretty much all of them!). Which are the author’s favourites, I wondered? The Coconut Thai Curry (page 120), particularly as she enjoys cooking it for family and friends. Thanks to it being a familiar dish with a combination of flavours like coriander, ginger, coconut and chilli, many don’t notice it’s actually healthy! Another one Ella excitedly recommended for those with a sweet tooth like herself is the infamous Sweet Potato Brownies (page 166), saying that this recipe has consistently been the most popular recipe on her blog, with thousands of readers posting photos of their version on Instagram!